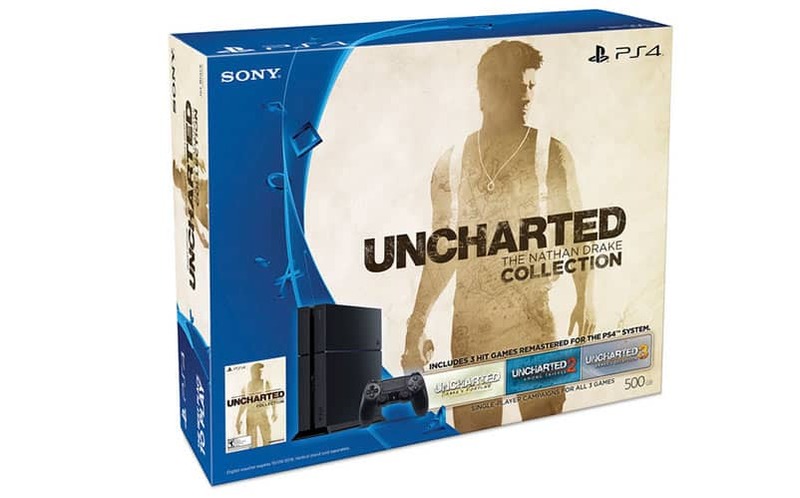 PS4 Price Drop to $349 Leaked by Target | Nerd Much? A few weeks ago, Sony announced at the Tokyo Game Show that the PlayStation 4 would be getting a price cut in the Japanese market. Now, it looks like that PS4 price drop is making its way over to the United States as well, as Target’s online site has leaked a $50 price drop on the console. 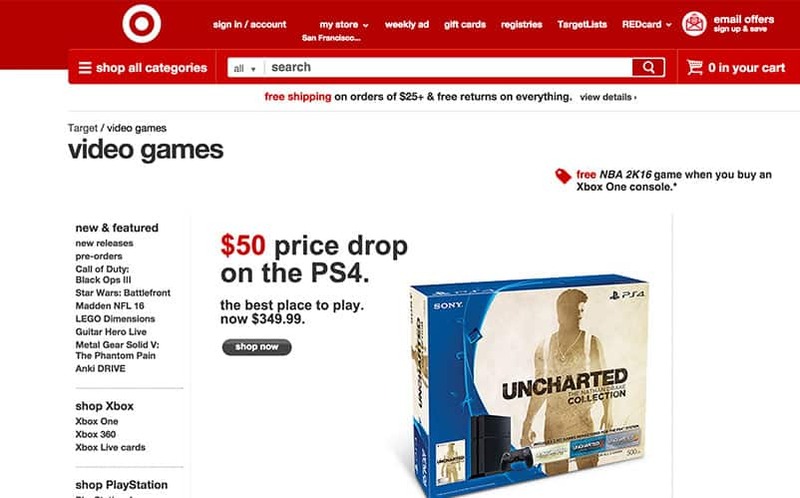 In the Video Games section on Target.com, an image displayed the Uncharted collection bundle next to “$50 price drop on the PS4. The best place to play. Now $349.99.” The image has since been removed, but you can see a screenshot of it below (courtesy of IGN). Of course, if you’re looking for a brand new PS4 console right now for $349, you can always just head to eBay, as numerous trusted sellers are currently selling bundles for $349 new with free shipping. It’s worth noting that while this isn’t an official announcement by any means, the The Last of Us and Destiny bundles already come with a $50 gift card (virtually making them $349.99, anyway). With Sony expected to have a big presence at Paris Games Week, it’s likely that the company will officially announce a price drop just in time for the holidays. You can watch Sony’s press conference on October 27 at 12pm ET.